Believe it or not, the cooler weather of fall is nearly here. This is a great time to use warm-weather weekends to get your home ready for the coming cold weather months. Consider these tasks to assist you in preparing your home for fall/winter in Colorado. 1. Inspect the exterior of your home for any penetrations that need to be sealed with caulking. 2. Have your gutters professionally cleaned to remove debris and blockages. 3. Prior to the first freezing temperatures, have your sprinkler system winterized. Watch this helpful video to learn how. 4. Remove garden hoses and store them inside before the first freeze. 5. Clean outdoor furniture and make repairs as needed. 1. Replace batteries in all smoke and carbon monoxide detectors. Experts suggest doing this every 6 months. 2. 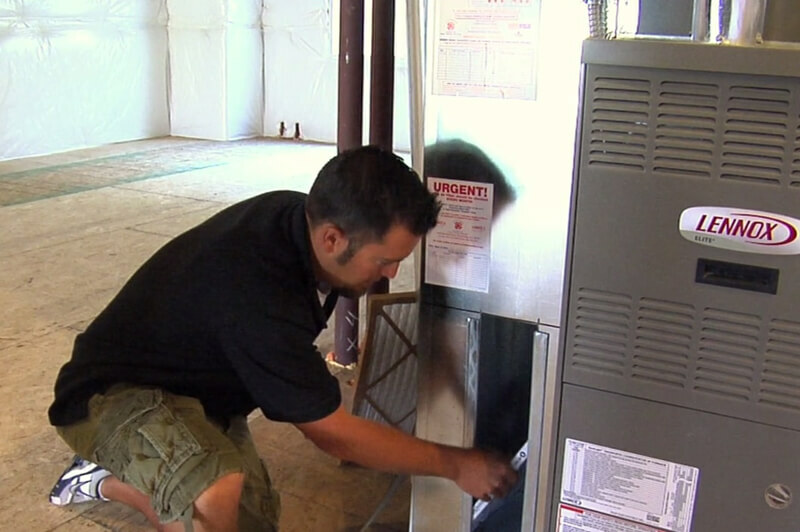 Install a new furnace filter to keep your HVAC system running at peak efficiency. Unsure how to do this? Watch this video! 3. Change the direction of your ceiling fans so that they provide an upward draft that redistributes warm air from the ceiling. 4. Touch up paint dings that have appeared over the busy summer months. This video tutorial will show you how to do it like a pro. Considering this fall/winter home maintenance checklist and preparing your home for winter in Colorado will help you dodge costly repairs that can be avoided with simple on-going maintenance. Click here for other helpful how-to home maintenance videos!